To make the finest traditional West Country cheese, everything we do here at Westcombe revolves around the quality of our milk. We pay particular attention to the wellbeing of our cows, but we also owe a great deal to the unique environment here at Westcombe, which allows us create such rich and characterful cheeses. In France they have a word, terroir, to describe the influence a specific area has on the food and drink produced there. This idea of a 'sense of place', though hotly debated, is increasingly seen as the key to regional differentiation in food and drink products. Terroir is often used by winemakers to highlight the role geography, geology and microclimate play on their wines. But while the word is French, the concept of terroir is universal. It's just as important to the great charcuterie of Italy, to China's fine oolong teas, the cacao beans of central America …and to traditional cheddar. You see, here in the verdant hills of east Somerset, terroir is – and always has been – vital to producing exceptional cheddar. Without the combination of lush pastures, plentiful spring water, rolling hills and cool mists we're blessed with, our cows wouldn't produce such rich milk and we wouldn't be able to slowly mature our cheeses so they develop such complexity and character. For us, the very best cheddars are created in harmony with the land and the special conditions here in Somerset. 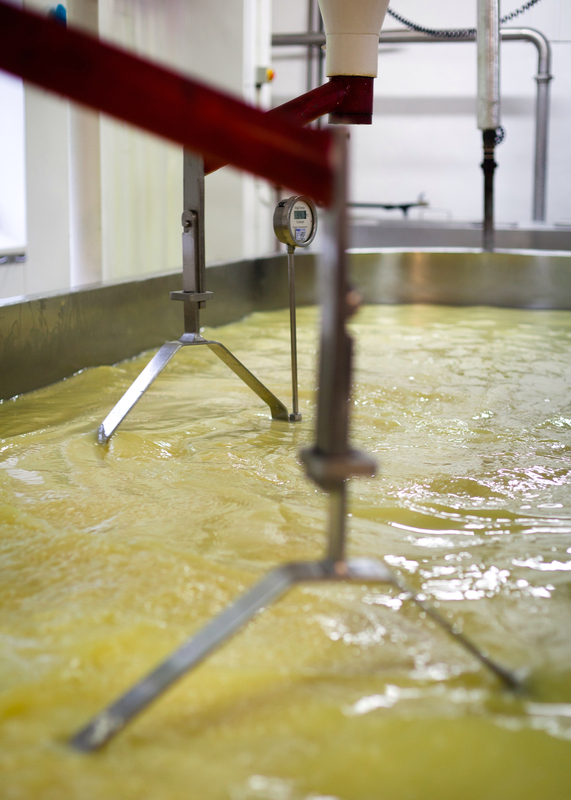 At Westcombe, cheesemaking is a continuous process – one that starts on the farm and ends on your plate. Every step is equally important to us, from the quality of the pasture and the wellbeing of our cows, to the practices used in the dairy and the climatic conditions in our ageing rooms. We're fortunate here because our cows graze close to the dairy and their milk hardly has to travel to reach us. It arrives as fresh and undisturbed as possible each morning, with its delicate structure still intact. Most mornings the milk is still warm from the cows when it goes into the vat. As soon as the milk is in, we begin the slow process of turning it into cheese. Our approach is very hands-on and our small team of cheesemakers use only traditional starter cultures and natural rennets to aid the milk's transformation. At this critical stage, we pay close attention to fluctuations in the milk's behaviour while the curds separate from the whey. With a raw product as microbially active as our milk, an intuitive approach is essential. To make the best cheese, we need to respond to the character of the milk, which is unique every single day. Everything we do on the farm revolves around maximising the natural qualities of our fresh raw milk. By keeping our cows happy and our land healthy, we do our best to ensure the milk is full of vitality, richness and 'friendly' bacteria. Then it comes down to our skills and practices in the dairy to best express the milk's richness in the finished cheese. We don't believe in forcing a particular flavour or finish onto a cheese, we want the milk to lead the way and determine its own character in the finished product. At Westcombe we believe that cheese is only as good as the milk it's made from, and that milk is only as good as the cows that produce it and the land they graze. By focusing on all these details, we aim to make cheese that is not only wholesome and a joy to eat, but which is honest to and redolent of the countryside that produces it. So whether it's in the deep, nutty complexity of our Cheddar, the grassy, lactic tang of our Caerphilly, or the fresh, dairy richness of our Somerset Ricotta, our cheeses wouldn't be what they are without the unique qualities of the natural Westcombe terroir.